Oh, my first prom. Class of 2000, so this was April 1999… end of junior year of high school. I totally went the princess route. 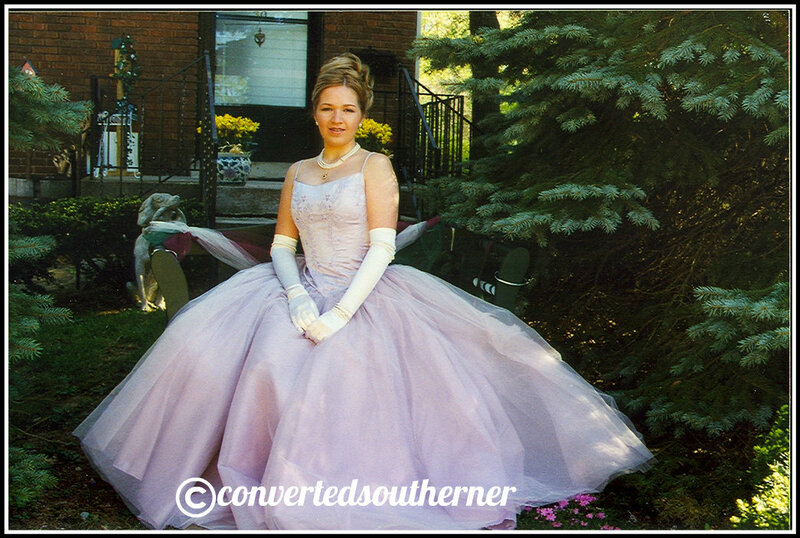 The skirt of this lovely lavender creation was eight layers. EIGHT. Junior Prom. I went with the princess dress. I still have the dress. Oh, wouldn’t it be nice to be a size 7/8 again? Oh so long ago. And my blonde dye job wasn’t that bad, right? It was a pretty ash blonde here. Senior prom hair though… that was super blonde. And the prom theme… Am I Dreaming? Our class (minus Gail) loved us some Dave Matthews Band. Actually, I am pretty sure a ridiculous number of us still love DMB!